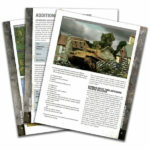 With the Ostfront supplement for Bolt Action, the campaign covered the "entire" activities that involved the Russian armies, beginning with the Winter war and Khalkin Gol. But this new supplement, Campaign The Road to Berlin, covers the very last years, from June 1944 until the crossing of the Spree. Warlord Games goes into the detail on these years of the late war. Very much into detail indeed, with 148 pages this campaign supplement is the biggest so far. Campaign New Guinea is a couple of pages short with 132 pages, followed by Battle of the Bulge and Duel in the Sun both with 124 pages. So you get quite the bang for your 19.99 GBP or 30 USD. Shown above as first images of this review are the two covers, with the final cover (left) and the early cover (right), presented by Osprey in one of their product catalogues. This happens quite often, to promote an upcoming book, before the final decision on the artwork is done. We have already seen this with Duel in the Sun and Campaign New Guinea. 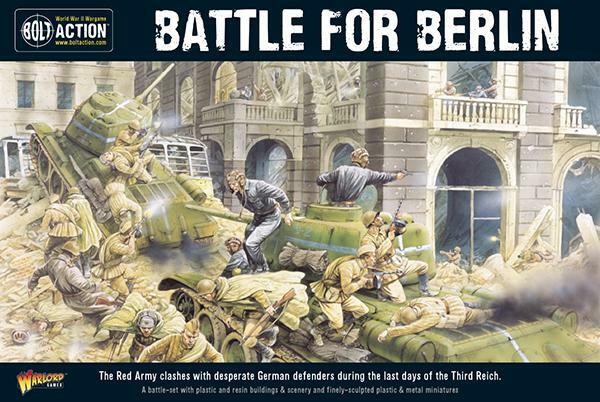 The Road to Berlin is very focused on the Soviet forces and their advances against a crumbling German Reich. But it is not all about the Russians, but other eastern European forces as well, so you'll find the rules for the Polish Home Army (Armia Krajowa), the Russian Liberation Army (ROA) and the Prague Uprising. 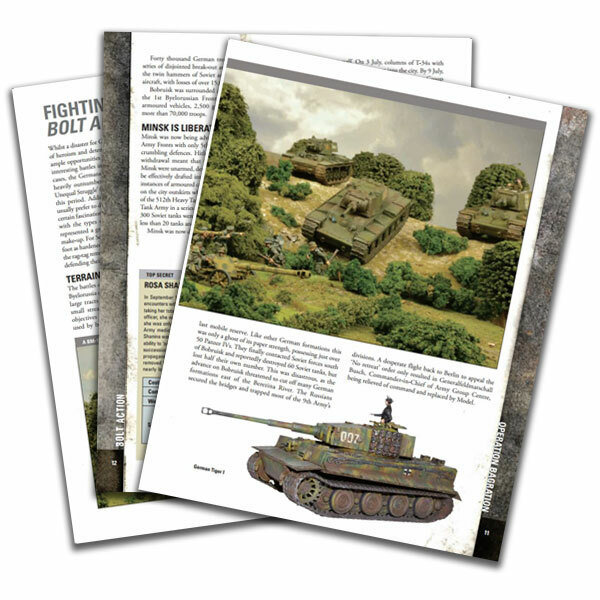 This supplement was written by Roger Gerrish, some may know him for the rules of Warlord Games' Dr. Who miniature game and it is his first work for Bolt Action as a main author. I was a bit surprised, that they didn't involve Andy Chambers in this book, with him being the author of Ostfront and Armies of Soviet Union. I assume he was busy with Blood Red Skies. Of course Warlord Games treated the direct customers of this book with an exclusive miniature. 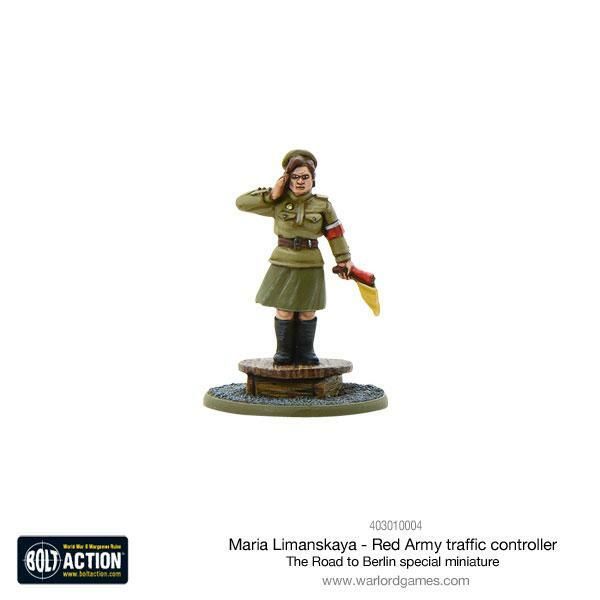 In this case the Russian traffic director Maria Limanskaya. 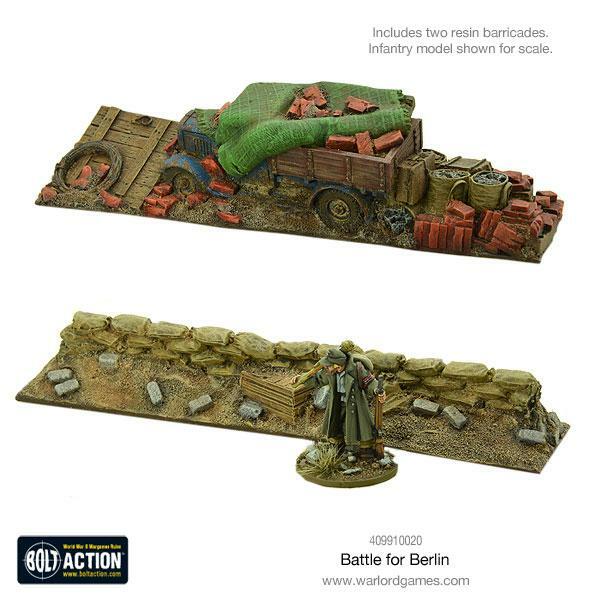 And that is not all, as the Fall of Berlin and the battle over the capital city of the German Reich was such a huge finale of World War 2, Warlord Games packed a special scenario battle set, similar to the one for the Pegasus Bridge. 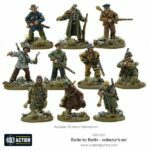 Lots of infantry, tanks and large houses, everything you need for a solid round of Bolt Action. The box is available in two different editions, as the "regular" battle set for 200 GBP and the larger collectors set with even more terrain and special contest for 295 GBP. In June 1944 the Axis were caught in the middle of two large military operations, the preparation of Operation Overlord by the Allies in the West, and Operation Bagration, a massive counter offensive by the Red Army, in the East. Pushing back the German troops on the eastern front, loosening up their grip on the countries between the German Reich and the Soviet Union brought a lot of momentum in the war, with many occupied countries and their citizens seeing their chance of resistance. Therefore the book covers the two uprisings in Warsaw (20 pages) and Prague (10 pages) as well. A total of 14 scenarios covering a bit less than 1 year of conflict. The chapters are self-contained, can be played in that order or you could pick out the city fighting of the two uprisings for smaller battles / campaigns themselves. Similar to Ostfront this book covers special rules for snow- and city fights, dug in entrenchments along with mine fields. With what I mentioned above, putting a single year of conflict on 148 pages, you have a certain expectation on what is waiting for you in this book. When I first had in my hands at last year's Crisis, I was impressed by the sheer weight of it. I expected it first to be about the late war years in and around Germany, the race to Berlin, with both West and East covered in this book. But that was a false assumption. 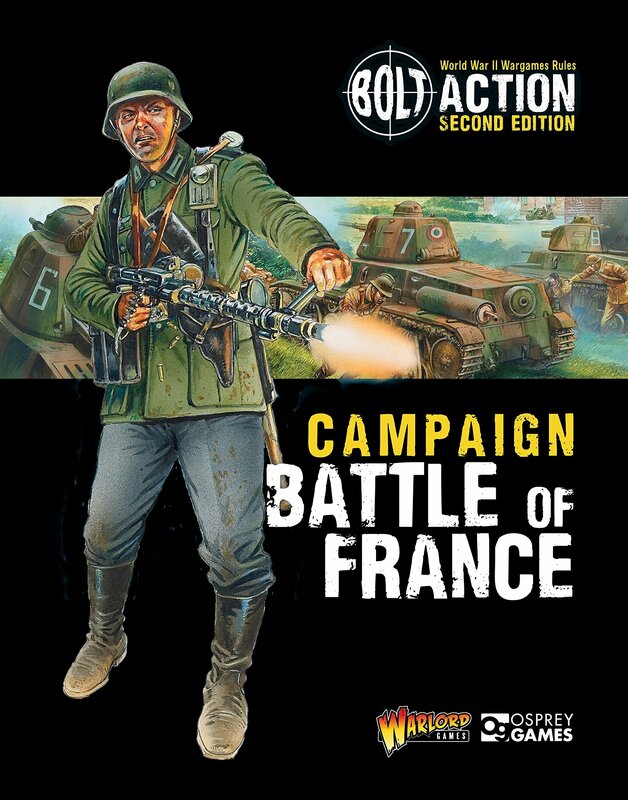 It is much more Russo-centric than I expected, but that is okay and it brings in further smaller army lists, that were shown the last time in the early to mid-years of Bolt Actions first edition with Italy and the Axis and France and the Allies. It covers a lot of late war action, giving you the opportunity to field some of the heavier units, like King Tigers and IS-2s, which is a great thing. They even included the rules for the Pz. VIII Maus in there, and with the city fights and uprising, gives you the chance to see some oddities like Chwat, Kubus or Grey Wolf. 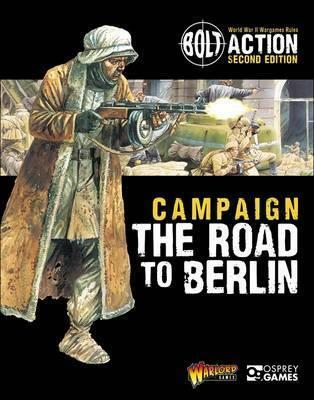 The Road to Berlin covers a couple of different theatre selectors, from several tank lists around Operation Bagration, to the Last Levy Theatre selectors and Replacement Panzer Force. There are even three smaller army lists for the Warsaw Uprising chapter on the Armia Krajowa, the Polish Home Army, and the NKVD (Narodnyi Komissariat Vnutrennikh, The People's Commissariat for Internal Affairs) and the ROA, the Russian Liberation Army that fought alongside and against the Germans in Prague. All these new army lists and theatre selectors of course brought along new units and heroes to choose from, there are Lend & Lease troops for the Soviets, some hinterland troops of the German army like Sicherungsbattalion, Feldgendarmerie, Feldjägerkorps and Strafbattalion, and the late year German Replacement Army along with the huge Panzer VIII Maus. 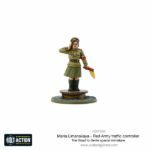 As the Germans got most of the new unit, the Russians receive the new Legends, Junior Sergeant Vasily Kharinaevich Khantaev, Lt. Aleksandr P. Oskin, Captain Georgi Nikitovih Gubkin, and Rosa Shanina. 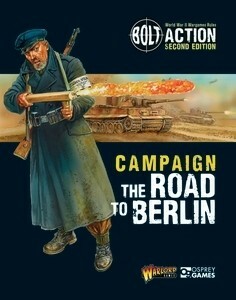 There are a total of 14 alternating and different scenarios in The Road to Berlin. Open field battles, dense city fights and the last winter of World War 2. The special rules in the appendix cover snow, mud, ice and frostbite, foxholes and gun pits, minefields and city fights. Some of these were already partly covered in other campaign supplements, but with the different scenarios covering harsh winter conditions in Eastern Europe and the later fights in fortified and barricaded cities / city ruins. How plays The Road to Berlin? 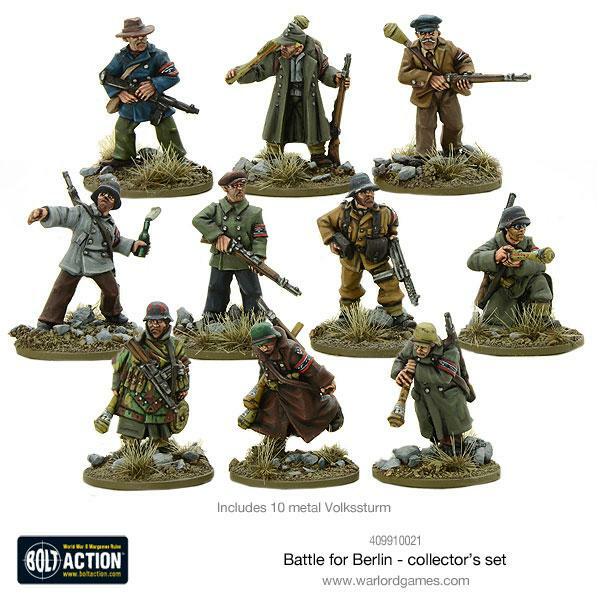 For the players of the German armies there is quite a broad selection. With the access to the late war armoury, there are a lot of heavy units to choose from, but as the scenarios and fights cover the hinterland forces as well, there are some green / not well trained and irregular troops like the Strafbattalion, Feldgendamerie and similar. In beginning the scenarios are battles between heavy mobilised or tank forces on both sides. With the Red Army becoming stronger, having access to more powerful equipment and the Germans having to handle the problem of fierce and reduced reinforcement. Therefore some of the options are not available towards the last scenarios, like Air support (the Luftwaffe ceased to exist more or less), the tanks become unreliable and more and more units are just replacements, either inexperienced or obsolete. The Warsaw Uprising part of this book is interesting, as it adds a bit of asymmetrical warfare to the game. A bit similar to the Seelöwe / Gigant supplement, but with late war equipment instead of early war and captured German vehicles, not captured vehicles by Germans. After The Road to Berlin was the next supplement Campaign Market Garden, which is already available and will be reviewed here shortly. It covers the massive airborne action along the Dutch-German border. It looks like the Campaign Burma (British / Commonwealth in the Pacific, I expect a lot of Chindits and Gurkhas) was re-scheduled to a later release date, as it was dropped from the current schedule. It was rumoured to be released in August. 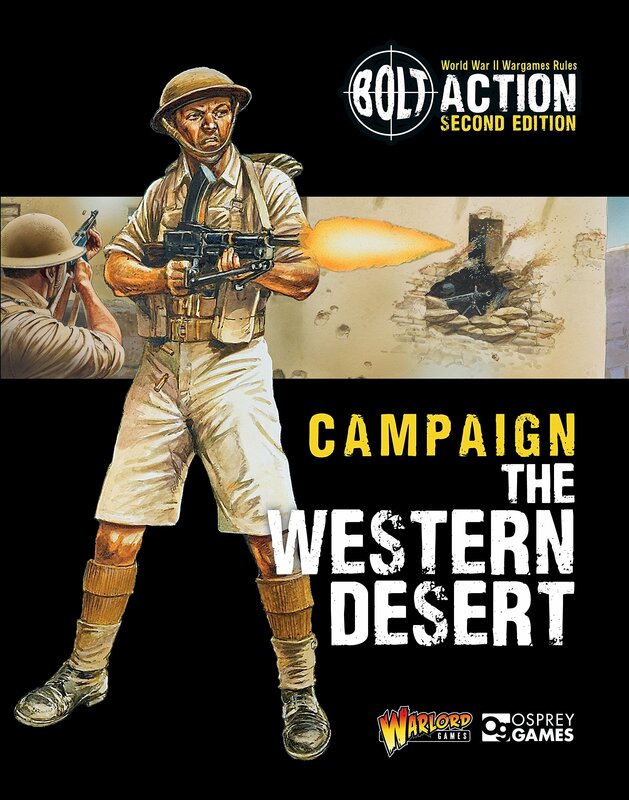 In August / September there will be Campaign The Western Desert, narrowing down the Duel in the Sun content from the Mediterranean in general to Africa, and the Battle of France coming in November, focussing on the early years of war and giving more detail to the Germany Strikes! content. It is a really packed book, with lots and lots of information and content to play. For me, as a Western European, many of these battles were new information or something I barely heard about (with most movies covering the activities of the Allies in the West or Africa and a few about German Armies in Stalingrad). So it was a bit difficult for me to put the new information somewhere or to connect it with existing knowledge. And it is a bit tricky to keep record on the activities in East. Who's "good" and who's "bad". You have the Russians fighting the Germans, the Polish fighting both, the ROA fighting first alongside the Germans against the Russians and later turning sides and fighting with Czech patriots against the Germans. All this is covered or at least introduced in The Road to Berlin, but I strongly suggest if you're new to this part of the war, to get some further resources and information. A good source for this are as always the Osprey books, for the Soviets I may recommend Men-at-Arms #216 The Red Army of the Great Patriotic War 1941-45 and MAA #469 WW2 Soviet Armed Forces (3) 1944-45, on the general conflict Campaign #42 Bagration 1944, CAM #159 Berlin 1945 and Fortress #107 Defenses of the Third Reich 1941-45. There is a Campaign book on the Warsaw Uprising as well, CAM #205 Warsaw 1944. As the book is already so dense with the Counter-Offensive and the two uprisings it is understandable but still a bit sad, that not more of the "Wunderwaffen" beside the Maus made it into the book. To be honest, more things like the Borgward Wanze would be more appropriate to Bolt Action compared to the super heavy tank that is more of a collector's piece than an actual unit for a platoon sized game. It would have been interesting to have an army list for the Panzerabteilung Kummersdorf with all the prototypes and captured vehicles from the Heeresversuchsstelle (Army Research Center). Never the less, the book has a more than satisfying value for money.